Hello peepz, am here with another unlimited browsing tweak on Airtel. This Airtel tweak is absolutely free of charge with the help of Psiphon vpn. 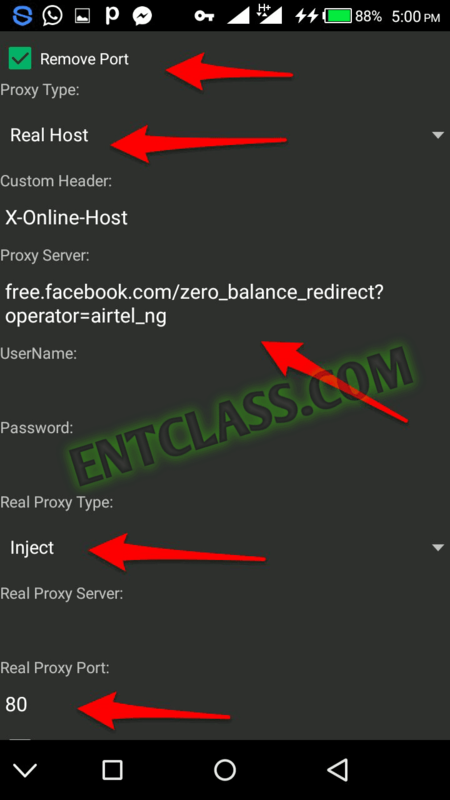 This Airtel free browsing tweak works on all sims and it doesn't take upto 1minute to connect on Psiphon. I will provide you my complete settings for Airtel 0.00 unlimited browsing tweak. Now let me drop the bo^mb here on Entclass.com. Now, download Psiphon Pro Lite Handler if you don't have it installed on your Android - download here. After download, kindly launch the app and set it as follows. See my below screenshot of my settings. Do not tick any box there.. As seen below. Go back and tap on Start. It will connect within 1 minute. After it connects, you will feel the speed therein. If you have any problem or confused about this setting, kindly comment below. If you find it difficult to comment, kindly search Entclass on Google Playstore and download it. Or download it HERE and use it to comment easily and also get notified of new posts published here. Mine is not working or is it because I vn't root my phone ? Entclass baba, Greatzeal dey hail oooo. Nice 1 , rocking like jet here . There is no strong IP for it as at now. What's the version of your android? And is it an MTK phone? Victor, it is not stable and always disconnecting. What can I do to rectify that? excuse me, this psiphon can i used it on my computer?